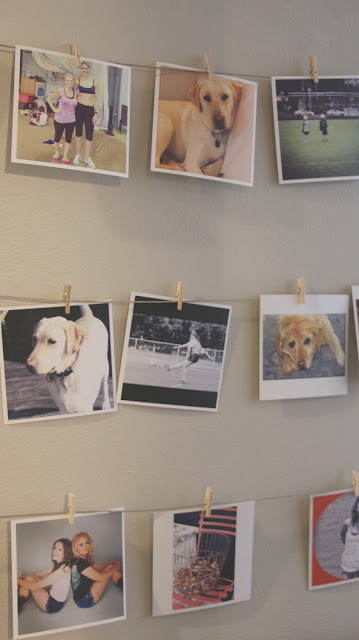 Todays project is another easy one and it is a fun way to display photos, kids artwork etc. You need to make a basic frame which means you need to make 4 cuts on a 45 degree angle. If you don't have a chop saw you can use a hand saw and miter box. Figure out how big you want your frame to be. I made mine 3 feet x 4 feet. After you have cut all 4 pieces of wood on a 45 degree angle you need to attach them. I used a nail gun but if you don't have one you can use a combination of wood glue and screws or nails. 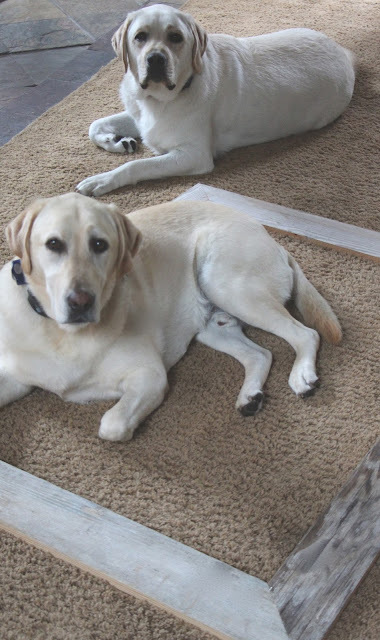 After I made the basic wood frame I brought it inside to clean it up, and my dogs immediately took a interest in it. Is this a hint they need a new dog bed? Then I took it to my local frame shop and had them put 4 wires across the back. One to hang it by, and 3 to hang photos by. 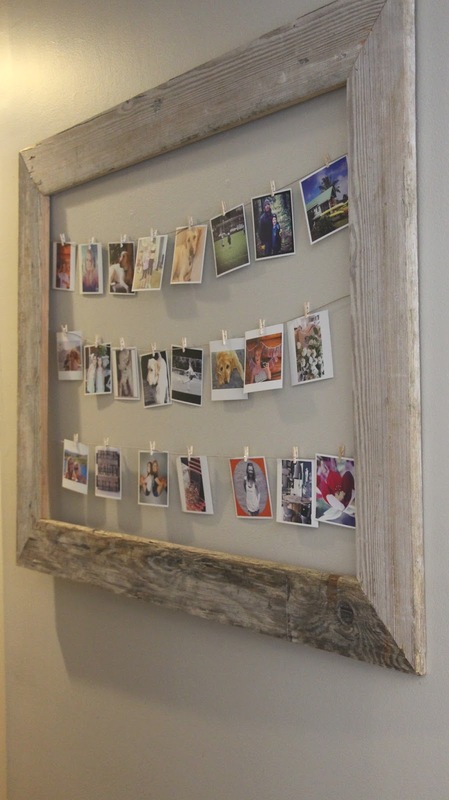 I picked up a pack of tiny clothespins and hung my instagram photos. I get mine printed at printstagram. Tomorrow final project in reclaimed wood week is my favorite. your dogs are just precious. You are one creative lady! Are these the tiny squares or 4 by 4 squares? 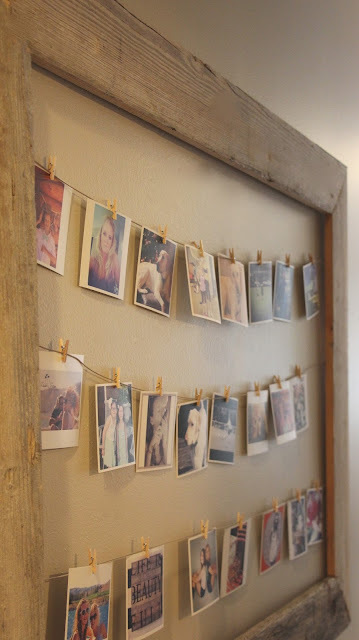 Who would ever thought that a simple piece of wood will be a great art inside your home? I admire the simple beauty it gave to the hanging photos. Thank you very much for you can share your post, the article content written very well, extremely is worth my interest. Looks great. I love your wooden frame. I did my frame last year with a wood router. What kind of tool did you use? Well, your dogs are just precious. I love them. But i think 4*4 square is too small. Best cordless drill for home and garden!